"The world is as delicate and as complicated as a spider's web. If you touch one thread you send shudders running through all the other threads. We are not just touching the web, we are tearing great holes in it." 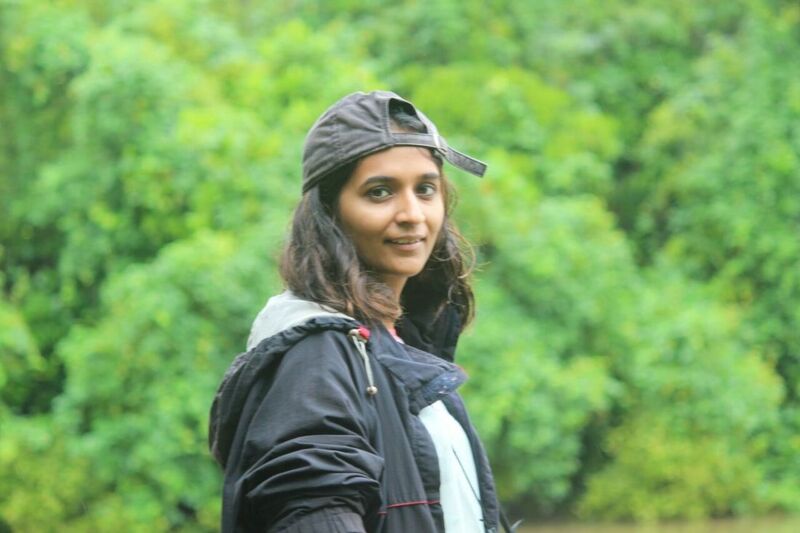 I am currently a Research Consultant at the Centre for Wildlife Studies in Bangalore, India. I hold an M.S. degree in Conservation Biology from the College of Environmental Science and Forestry, State University of New York (SUNY-ESF). At CWS, my work has involved examining mitigation use against human-wildlife conflict, voluntary resettlement out of protected areas, and using multi-species N-mixture models to estimate bird abundance. I have also been involved in drafting grant proposals, and have worked as a Teaching Assistant on Duke University's Global Semester Abroad Program. My Masters research focused on how habitats affect rodent abundance in the forests of northeastern India. ​In 2005, it was a slushy walk through dozens of mud-puddling Cerulean butterflies in a central Indian forest that got me hooked on to wildlife. Following an undergraduate education in Electronic Engineering from Mumbai University, I sped off into the Konkan coastal belt of west India. Here, I spent a wonderful year with Sahyadri Nisarga Mitra tracking the disappearing Gyps vultures and working towards community-based ex-situ conservation of Olive ridley (Lepidochelys olivacea) marine turtles. Volunteering experiences on issues as diverse as man-wildlife conflict, science outreach, infectious diseases have further shaped my understanding of nature conservation in a fast-expanding world. My hobbies include bird-watching, reading books on history, environmentalism and of course fiction, watching the occasional Hindi movie, and finding excuses to wander the Himalayas. I also enjoy interacting with diverse audiences about the wonders of nature and the multiple avenues through which they can participate in wildlife conservation. I deal with stress through procrastination and writing occasionally. You can check out the Diary section for blogs on topics that matter.